Suppose you want to hide zero values in selected range in excel. 2. 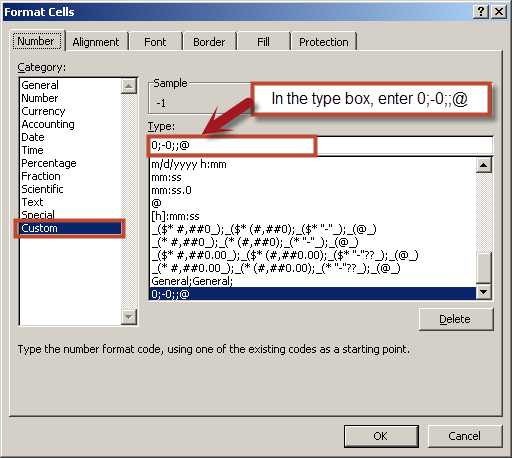 In the Format Cells box, Select Number tab. Under Number tab, click Custom. 0 Response to "Hide zeros in range in Excel"